Savannah Metallers, BLACK TUSK just released their long awaited new EP, Tend No Wounds. The album is available in CD, Vinyl and digital formats. It can be ordered from the Relapse Records Store and on iTunes. Plus, the full EP is streaming on BLACK TUSK’s Bandcamp Page. 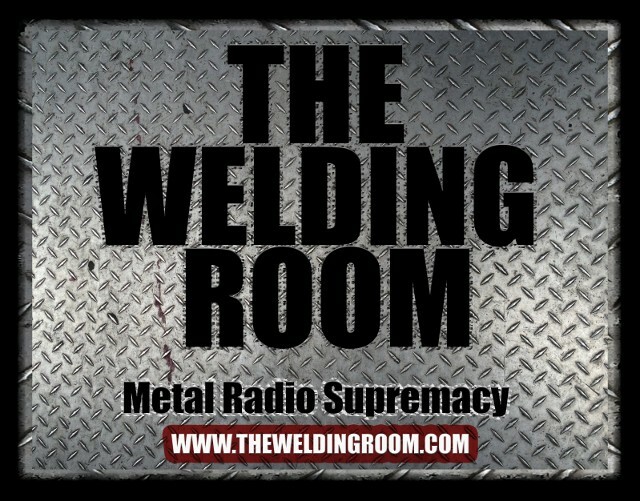 Send your #DeathThreatsComplaints to @TheWeldingRoom via Twitter to request BLACK TUSK on The Welding Room radio program now! See LISTEN LIVE (above) for show dates & times. Watch the new video HERE, for the track Truth Untold directed by Brad Kremer and produced by Tytan Creates. BLACK TUSK will play four regional dates in support of Tend No Wounds, starting July 24 in Augusta, GA through July 27 in Memphis, TN. They will return to Europe this autumn to tour on the back of their brand new EP Tend No Wounds with support from Fight Amp on all dates. Tend No Wounds is a six track EP that takes you on a twenty minute ride of raging Southern rock and pure adrenaline, providing the perfect stop-gap between their last album – Set The Dial – and their next. The EP was recorded with producer Phillip Cope (Kylesa, Baroness) at the Jam Room in Columbia, South Carolina. This entry was posted in METAL and tagged #DeathThreatsComplaints, Black Tusk, Brutal Panda Records, Chattanooga Tennessee, Extended play, Fight Amp, iTunes, KYLESA, Memphis, Memphis Tennessee, Relapse Records, The Welding Room. Bookmark the permalink.